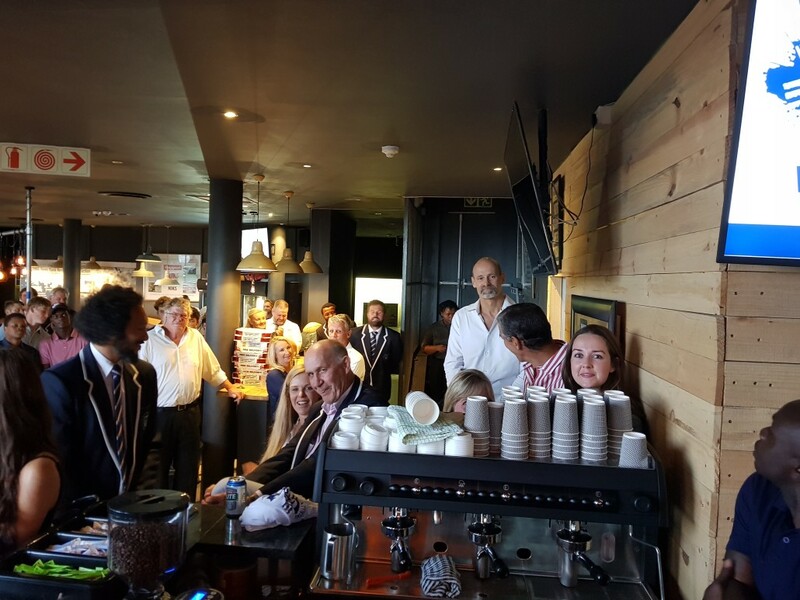 It was fitting that one of our new “old” boys Bradley Janse Van Rensburg welcomed all to our newly renovated bar and coffee shop. 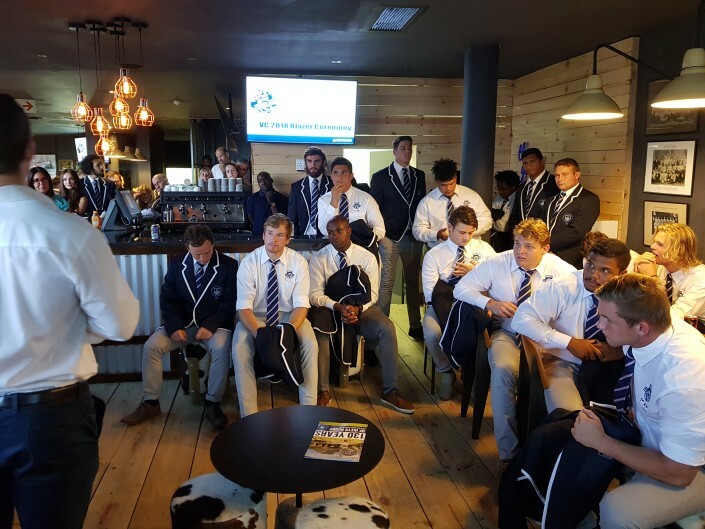 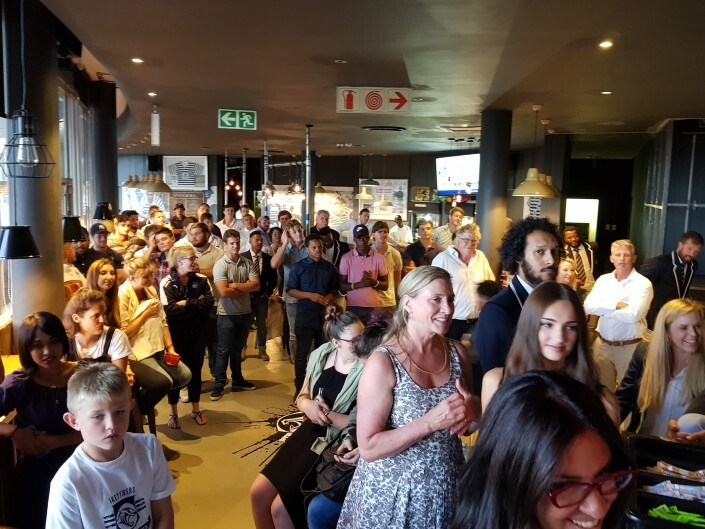 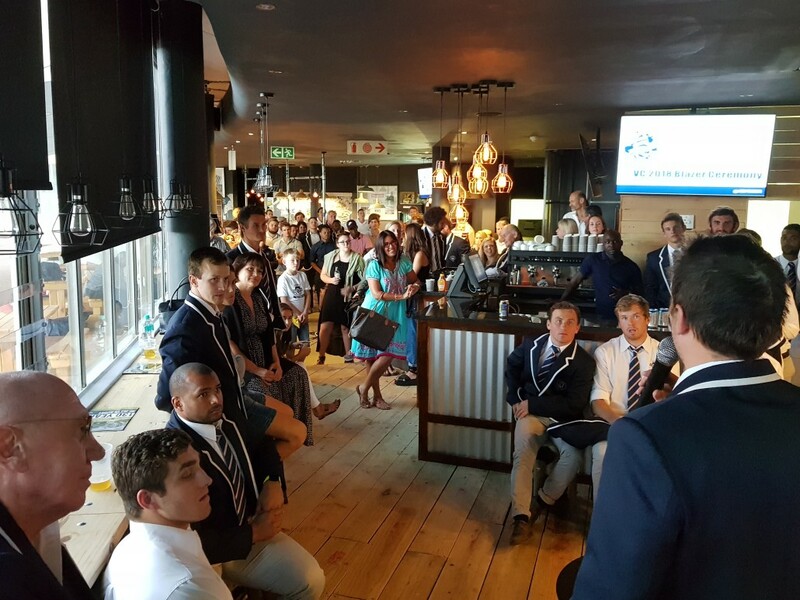 Parents, siblings, friends, under 20s as well as Ikey supporters filled our venue waiting for the announcement of the team.Our Patron, Neville Isdell addressed the players and guests about the importance of never giving up and always trying to ‘raise the bar” in performance whether it is academics or sport. 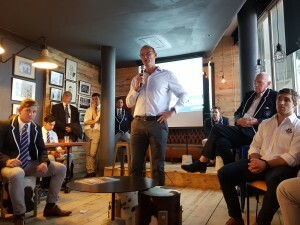 He stressed the fact that rugby in particular taught many human values that would be beneficial to adults as they navigate the world of families and careers. Our Head Coach, Christiaan Esterhuizen or Essie as we all know him, presented a slide show biography of all the new caps. 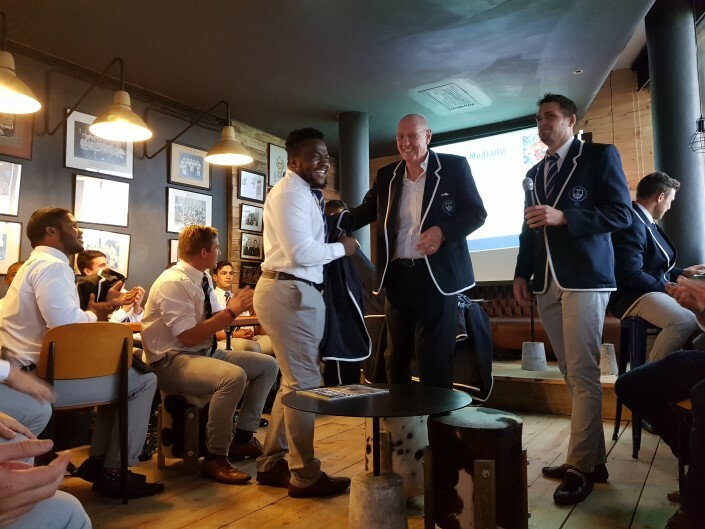 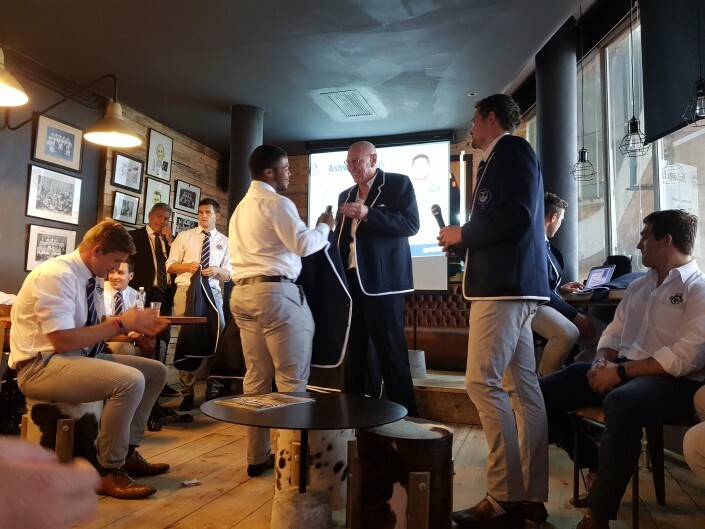 All the team duly shook hands with Neville (many were a shade sweaty with nervousness) and were awarded their incredible smart UCT Rugby FC blazers. 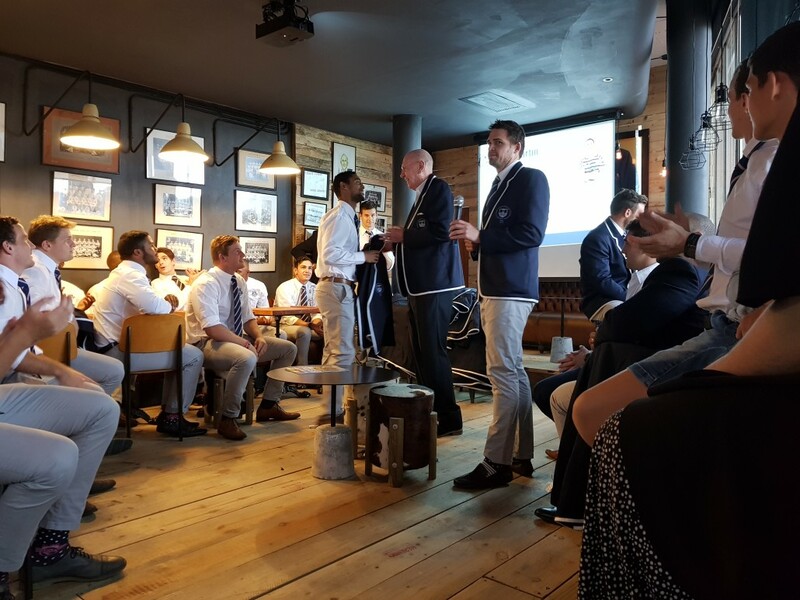 Essie mentioned how difficult it was to select the team and thanked the other 20 players in the broader squad who had given their all in the pre season. 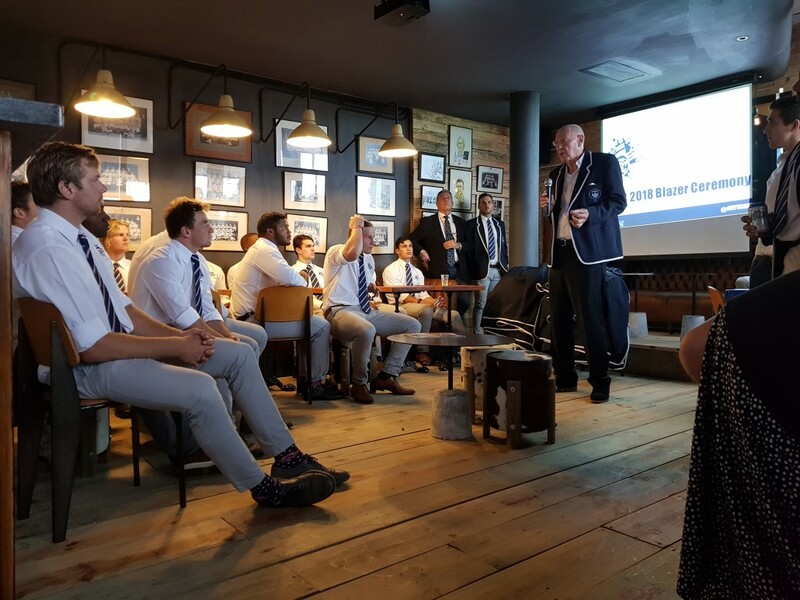 Finally Greg Fury formally thanks Mike Van Rheede, our Physio as well as attack coach for the unbelievable effort he has put into the club in so many different capacities over the last 10 years. His involvement in our Varsity Cup highs and lows embodies the finest commitment anyone could give to the club. 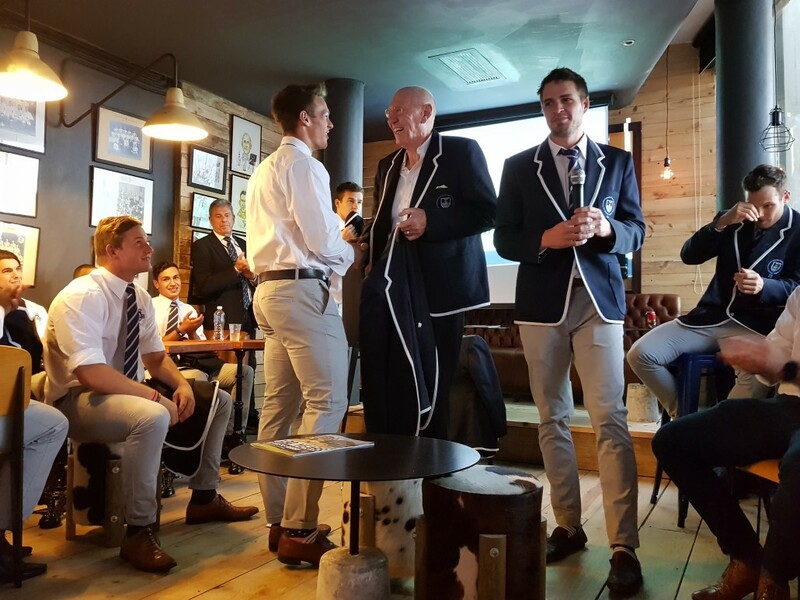 After Bradley closed the proceedings, players and guests mixed into the evening wishing all the very best for the Varsity Cup season.